Hello there! 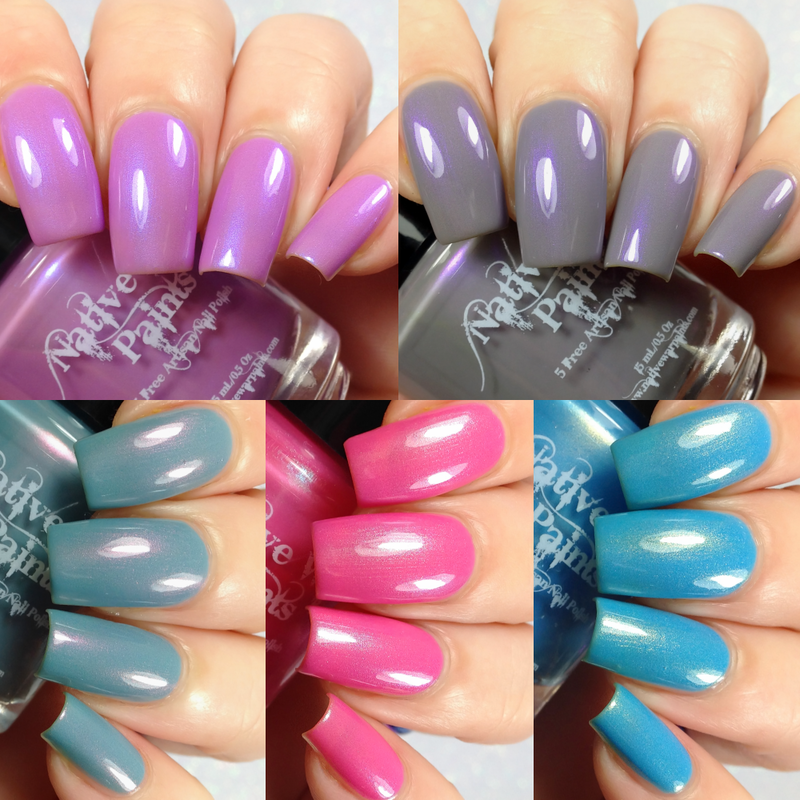 Today I have Native War Paints Valentines collection to share with you. This is the 'Love Languages' collection which consist of five shimmery beauties. Read on for more info! Described as a pastel purple with blue shimmer. Shown here in three coats plus top coat. Formula was on the sheer side but builds up in 2-3 coats. Described as a pastel pink with turquoise shimmer. 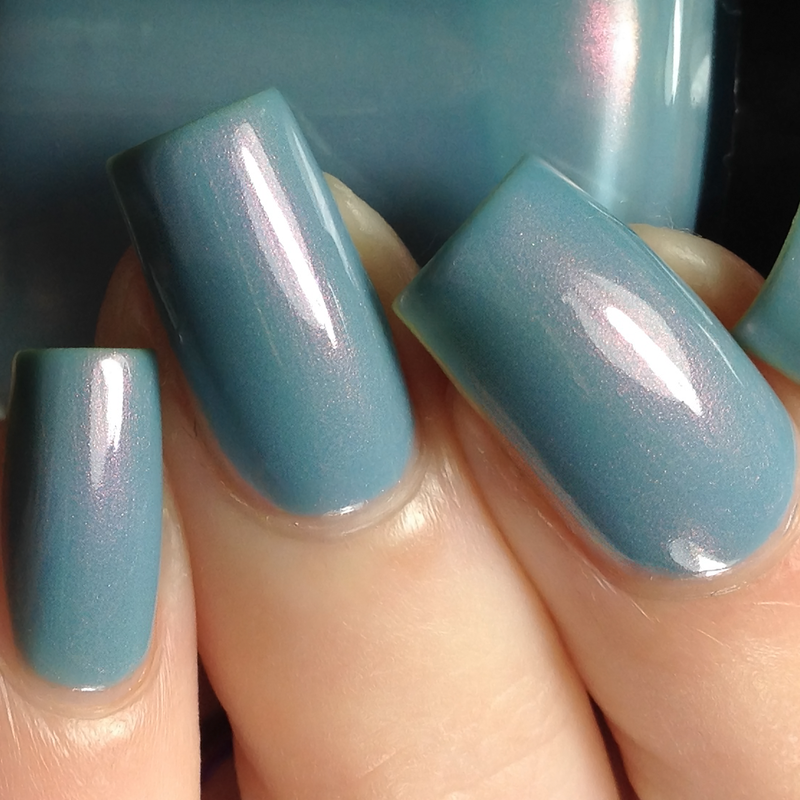 Described as a pastel blue with gold shimmer. Described as a pale grey with violet shimmer. 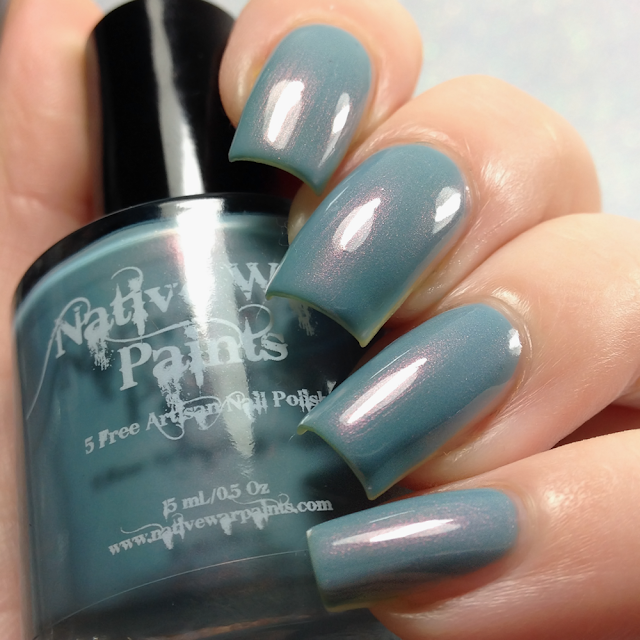 Described as a pastel blue leaning teal with pink shimmer. *This will not be a preorder.